Wine Rating: Robert Parker vs Vivino. Sommelier, is this wine any good? Vivino is the world’s most popular wine community and most downloaded mobile wine app. 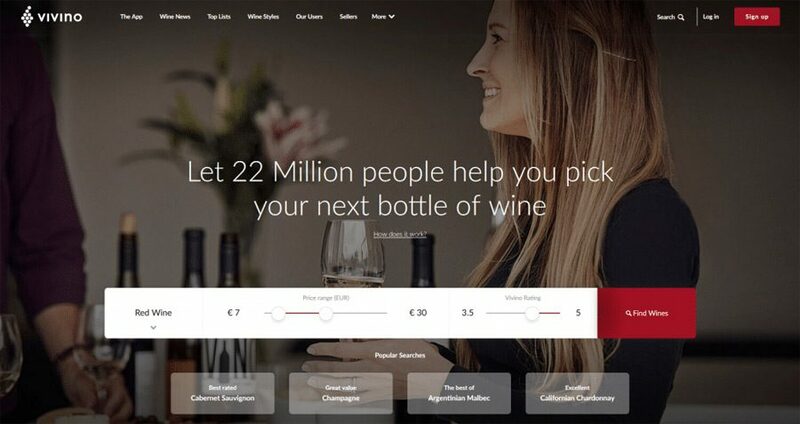 Vivino’s 29 million users (yes, that screen-grab is old) contribute ratings for millions of wines from around the globe, and collectively, this database makes up the largest wine library in the world. By crowdsourcing wine ratings, this global community can more quickly and accurately assess individual vintages than a single organisation (like Wine Spectator, Robert Parker, Decanter, et al). Based on a sample of 5000 wines scored by Robert Parker, a strong correlation was found with their equivalent 800,000 Vivino wine ratings, so we decided to show the Vivino score alongside each wine to help you get a flavour of how it compares. You can see more about this correlation on the Vivino website. The table below shows the correlation between Vivino and Robert Parker’s own wine rating so you can get an idea how the wines stack up. The Vivino ratings appear on our lists alongside each bottle with the key at the bottom of each page. You don’t need to rely on a sommelier to tell you if the wine is good or not – you only have to decide if you like it! Remember too that Vivino is a living community, so ratings can fluctuate as more people try each of the vintages. Our list shows the rating at the time of printing so may vary marginally from the current live rating. Also, as more ratings are received, the score for the particular bottle will normalise – when there are few ratings the score can be erratic and we won’t show a rating for a wine with very few user scores. And remember too to check out our Wine Atlas on our Wines of Lebanon & Syria page which has links to our wineries for more detailed information.